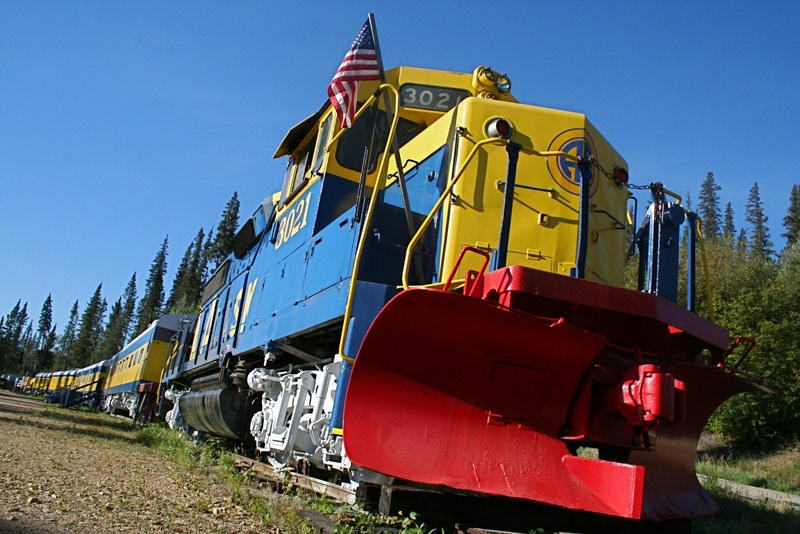 The Aurora Express is a bed and breakfast in Alaska where you stay in renovated railroad carriages. 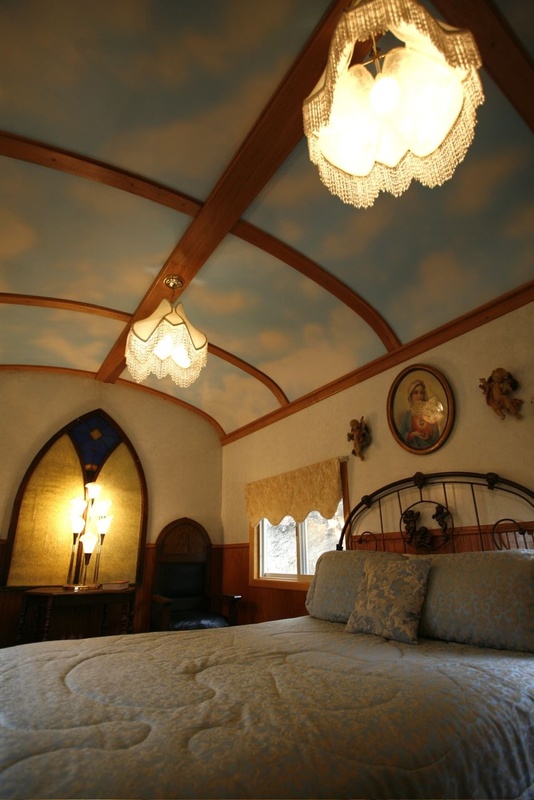 These vintage carriages were set to become a museum until the Wilson family decided to turn them into a Bed & Breakfast. Now, the old railroad cars sit high on a hill overlooking Fairbanks, the largest city in the Interior region of Alaska. 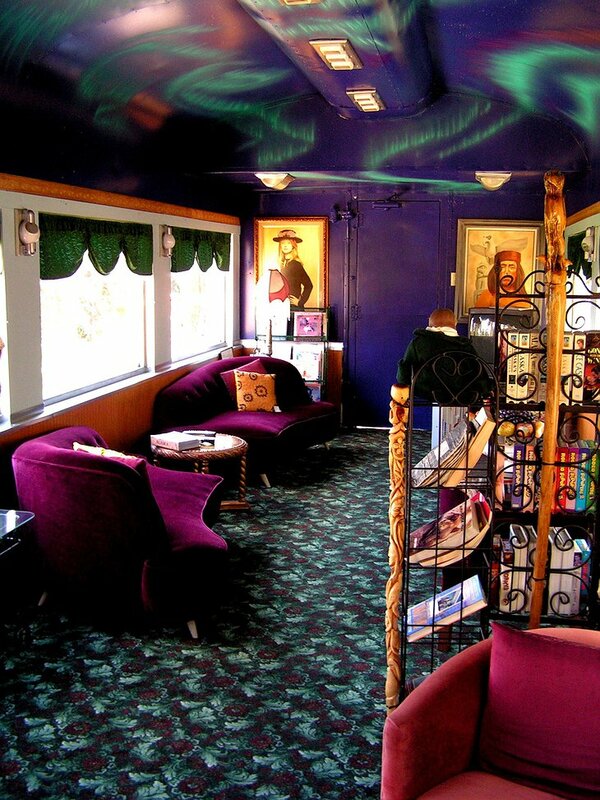 You can stay in the National Domain Car which is a 1956 Pullman sleeper, one of only 11 made in this series. 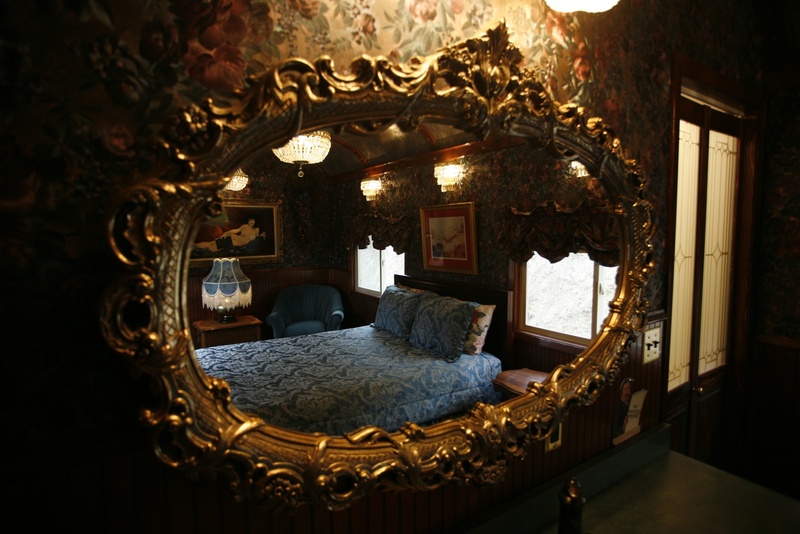 It has been divided into suites, each one decorated to represent a different period in the history of the Alaskan railroad. 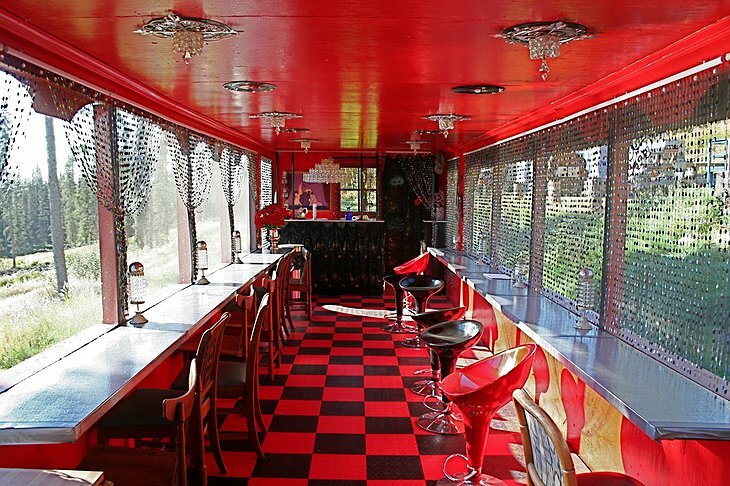 The Arlene is a hospital car that was used in World War 2 – its 80-foot length has been converted into two bedrooms. 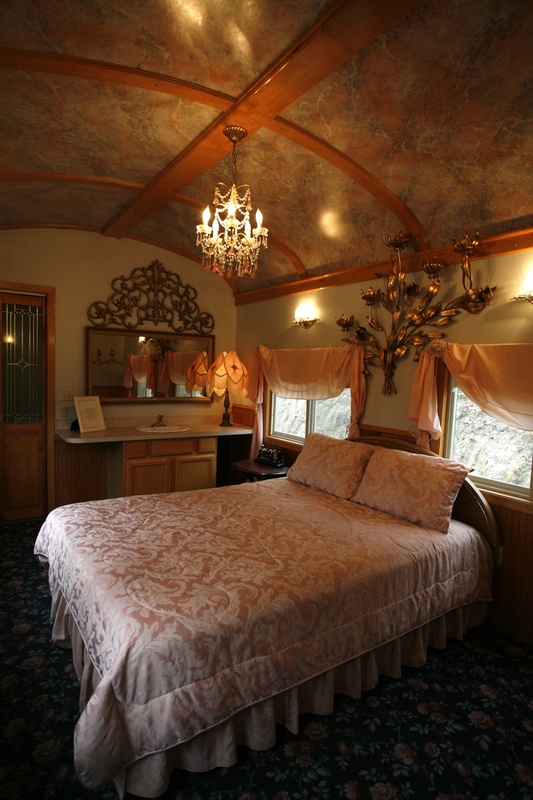 The Golden Nellie Caboose is the luxury option and is decorated fit for a monarch. 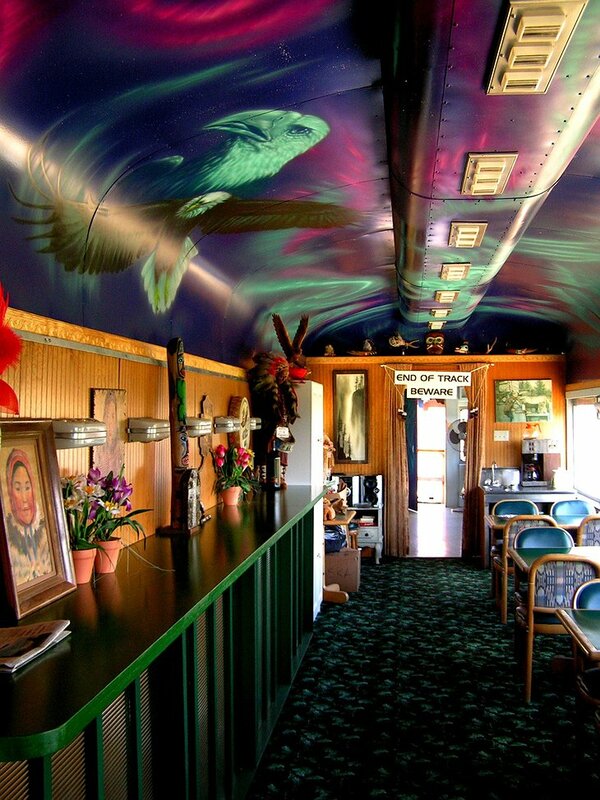 Breakfast is served in an authentic Diner Car with a beautiful mural painted on its ceiling. 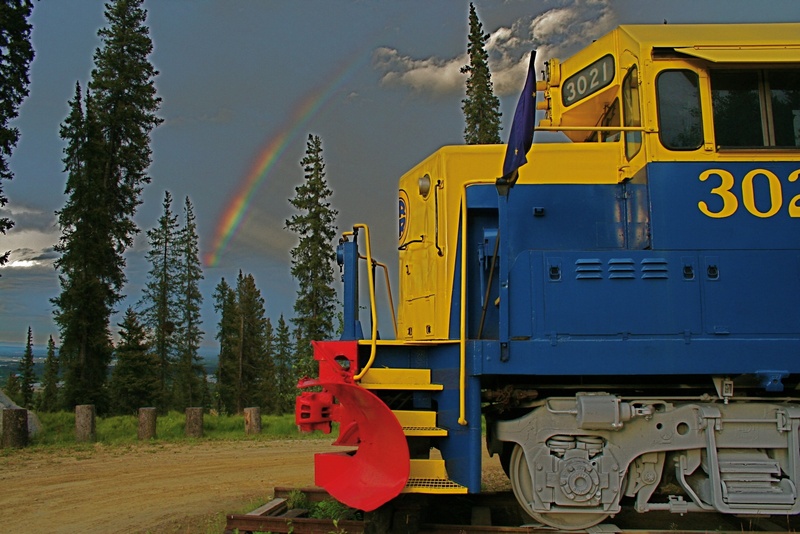 Summer Rain Shower Time-Lapse at Aurora Express B&B in Fairbanks, AK from Jeff Zuhlke on Vimeo.